Pace Computing started with the idea that great computer service should be available locally. And we still believe that. Pace Computing began its life in 1997 as a small web design and computer service company. It was started by John Pace II and was primarily a one-man show. We were located in Chambersburg and served the local community and the surrounding area. As our reputation grew we took on more customers and started tackling some of the most difficult computing issues that our customers had. We quickly grew a reputation for being able to fix issues that other technicians just couldn't figure out. In 1999, Pace Computing opened a retail sales and service center in downtown Chambersburg. We offered custom built computers, network consulting, computer repairs, web design and web hosting. We grew quickly gained a much larger list of clients. Unfortunately, that was the era of the dot com boom and custom PC sales hit an all time low. This prompted us to downsize and regroup in 2004. We closed the retail center and moved back to basics - great PC service, web design and web hosting. We continue this tradition today. 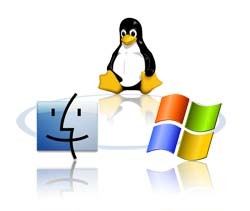 Pace Computing now offers full consulting services, PC, Linux and Mac service as well as web services. We can take on nearly any technical project and make it a success. That is a fact that we are proud of.